Some dishes include a bit of Thai influence and they say Chinese though I don’t really see it. Indian is my favorite food anyway so I am happy. 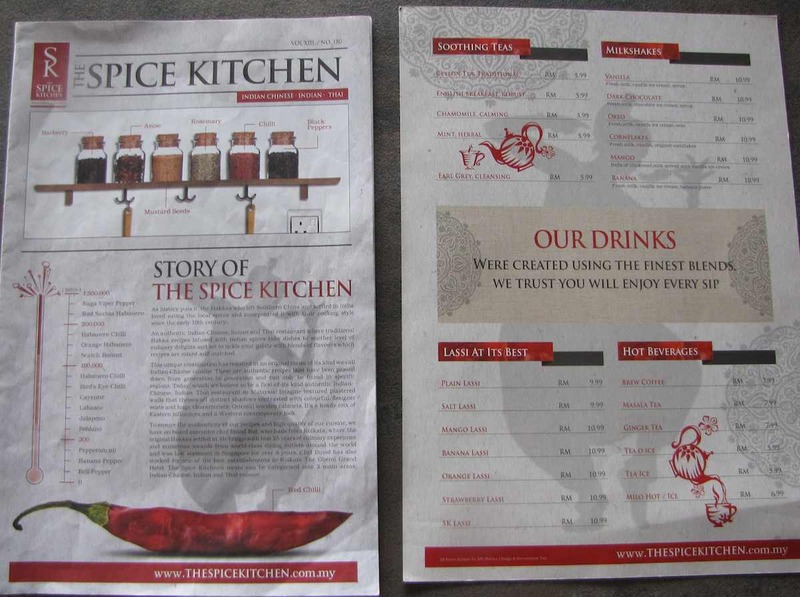 Spice kitchen is in lower left of the photo (red banners). Sky Executive Suites is the tall building in the photo. The restaurant is right next to the Sky Executive Suite condos and the Bukit Indah Jusco mall is nearby (I walked over to the mall after eating this lunch). 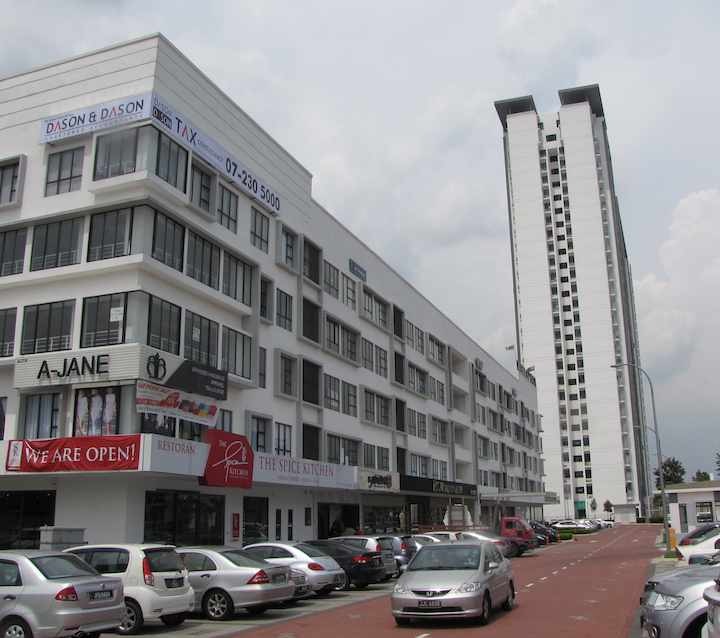 The downtown Johor Bahru area has the many good restaurants and tons of good Indian restaurants but Bukit Indah is adding more good food options as condos are completed and people move in. 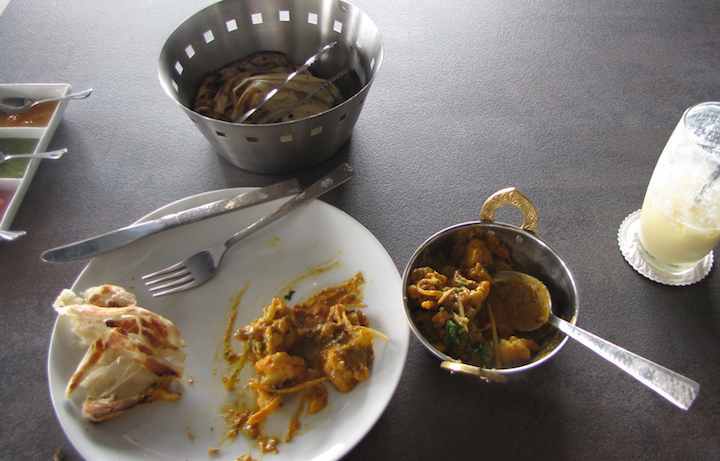 The Spice Kitchen offers wonderful Indian food for those working or living in this area. My Wife and I and quite a few friends have eaten there on a few occasions. I simply feel this place is consistently serving great food. 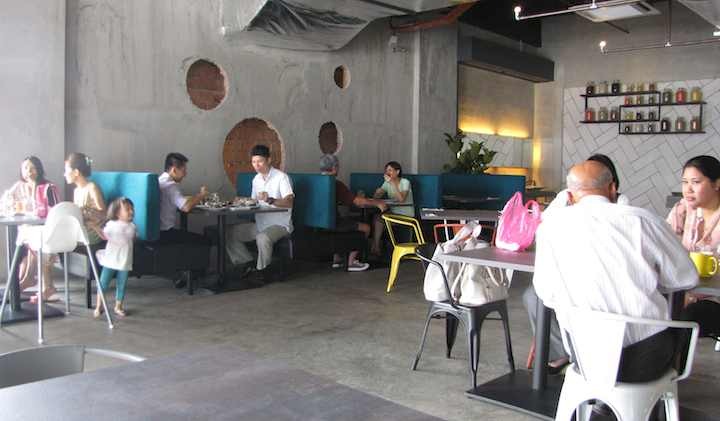 It’s easily in my top 3 choices of places to eat in Johor and is well worth the drive for us. I really like the industrial decor and superb service. Better to employ more mature staff who serve your business well, than kids that don’t give a dam.